Once you start removing real metal, it’s a real racecar. There’s no going back from these kinds of modifications! Today we remove the windows, and all interior door niceties, including almost all of the sheet metal. 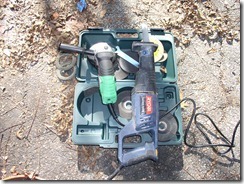 I bought an angle grinder just for this. 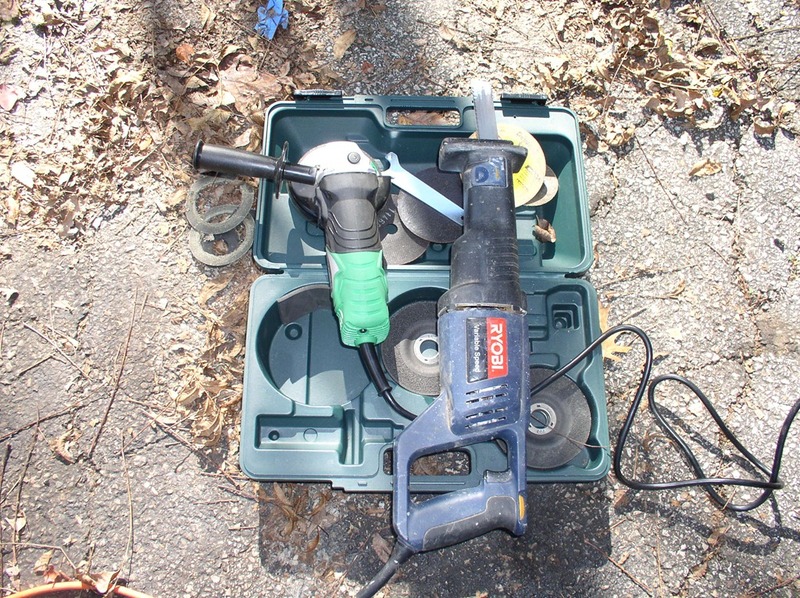 Plus, it should come in handy for installing the cage, and other misc fabrication chores. The saws-all, I already had. This is a tabulation of everything I’ve removed from the car and how much it weighs. I’ll continue to update this post as more parts are removed. Hmmm…what else can I take out of the car? One in the front of each front wheel well. One right next to the hood latch. 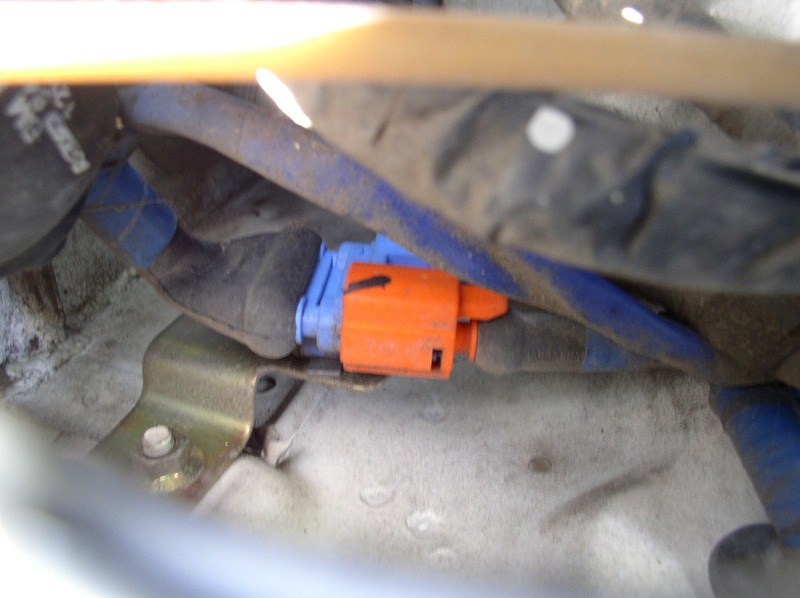 As before, all the airbag connectors are two piece, with an orange connector that has to come off first, and a blue connector that is held on by the orange. However, since I remove the computer and airbag yesterday I didn’t need to be all that careful about it….there’s nothing to trigger. 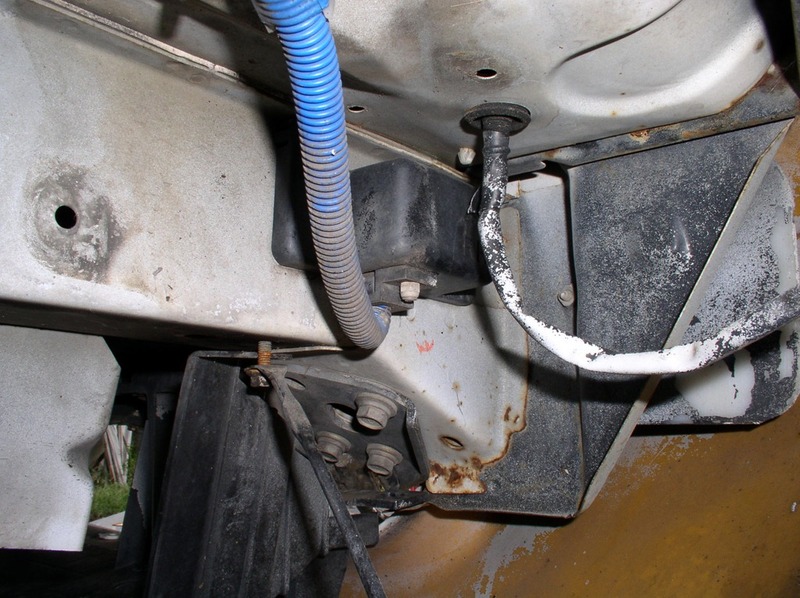 Each of the wheel well sensors has a long cable that runs all the way back to the engine compartment through a grommet up under the fender. First I disconnected the orange/blue connectors. Both of these are pretty hard to get to. 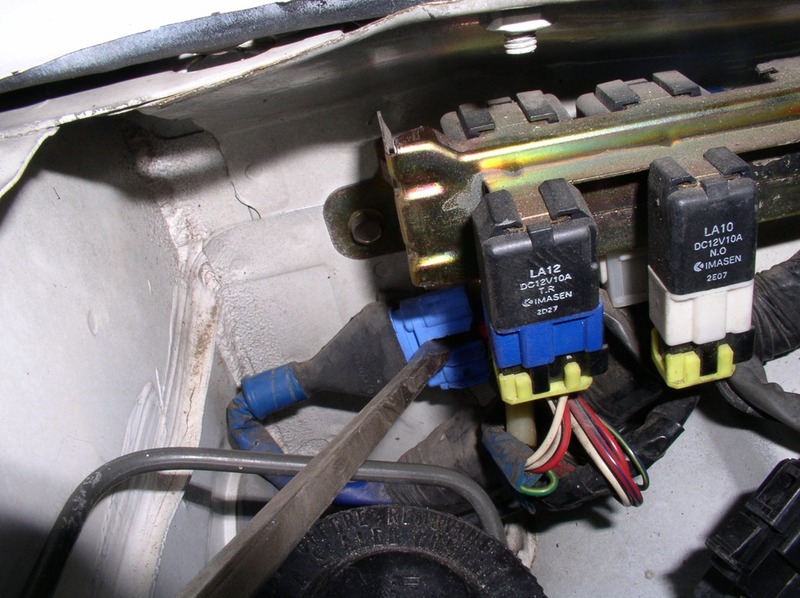 On the drivers side it is underneath the relay mounting bar. I didn’t really want to remove this..so, I got a big flat bladed screw driver and jamed it into the connector and twisted. Ta-da! Both connectors came off in one twist. 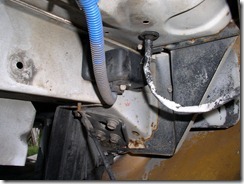 Similarly, on the passenger side it is located underneath the fuse box. Again with the screw driver. Continue reading Hmmm…what else can I take out of the car? Nothing makes a car look like a racecar like removing all the amenities, carpet, seats, dash, etc. Today’s goal (if I had such a thing) was to remove as much weight from the car as I could find. I actually started by weighing everything that I had removed so far. I’ll put the weight savings in a separate post, and just update that as I go. 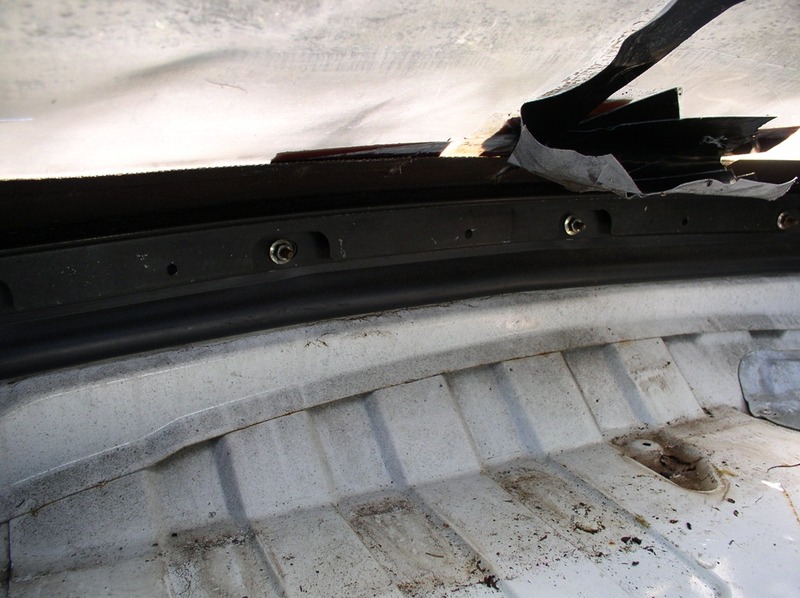 I started in the trunk, removing the spare tire, jack, carpet, and the piece of metal that holds the jack handle. There is a giant pad of that tar like stuff that I removed from the passenger floor, yesterday. I know a couple guys that have remove this…after yesterday, I’m still on the fence….it’s a lot of work. I’m sure I’ll end up removing it, I just need some distance from my previous experience. 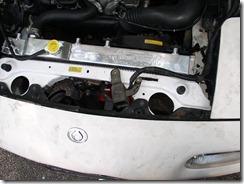 After I removed everything from the trunk…I began to think about the passenger compartment…airbag, sensors, computer…that kind of thing. Of course, most of that stuff can’t be reached without removing the dash. Well, it was early enough in the day…what the heck! WARNING! An airbag is an explosive device. Certain precautions are in order. Please read your manual, before proceeding. This is not meant to be a guide…just a basic discussion of my experience. After following the precautions laid out in my shop manual, I set about the task of removing the airbag. 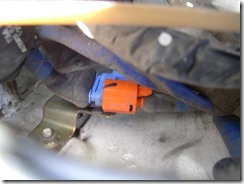 The big thing is that all the airbag connectors are blue and orange. 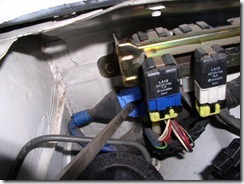 The orange connector comes off first, then the blue connector. IMPORTANT: Don’t try to remove them at the same time. Removing the convertible top. This was a very simple job. 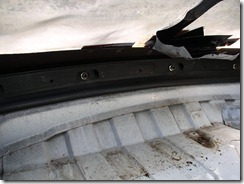 First I removed the nuts that hold the retaining strips for the top. Then just pulled off the the strips. There are three bolts that hold the mechanism to the body. They are behind the side trim piece. I removed the trim retaining plate at the top, and the trim. Then I removed the three bolts from both sides. Then the top lifts right off.